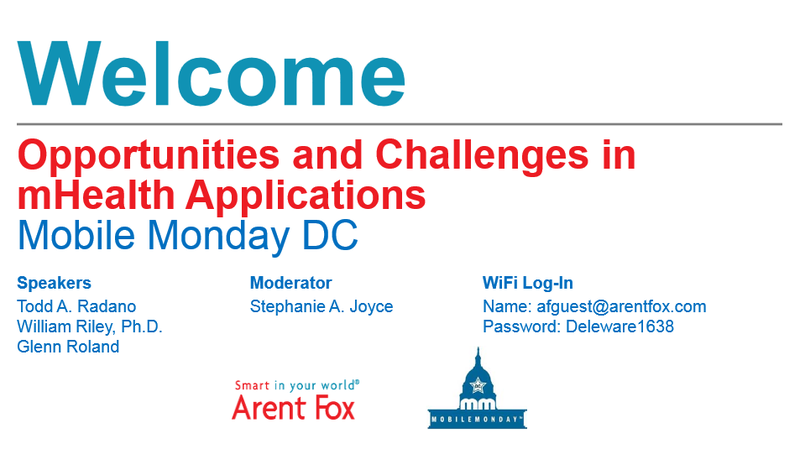 Many thanks to Arent Fox for hosting and moderating our September 2013 panel on mHealth applications. The timing of the session turned out to be perfect, on the same day that the FDA released new guidance on regulation of mobile medical applications. Needless to say, this made a relevant and exciting topic even more so. Arent Fox has made available the presentation material from the event, which you can find on the Arent Fox website. We look forward to seeing you at our next event on October 7, when we will discuss data and analytics for mobile apps and solutions.